There are a lot of mix ‘n’ match styles happening right now, especially when it comes to colours and materials, and one of the most popular examples is the combination of wallpaper and tile. Homeowners value the way a wallpaper can instantly transform a space with minimal effort and expense, but they also appreciate the hard wearing, easy clean, and hygienic nature of tiles (which is particularly true for families with young children). Rather than choosing between the two, they’re blending the styles into one. One of the major deterrents to using marble in the past has been its price, but affordable marble effect tiles are now widely available in the UK, and it’s actually very difficult to tell the difference between marble effect tiles and real marble tiles. The most popular type of affordable marble now available is marble effect porcelain. This has become a firm favourite, as it combines the amazing look of marble with sturdy, low cost porcelain that’s more dense and less porous than real marble, making it ideal for areas of the home where marble generally isn’t recommended, like steamy kitchens and humid bathrooms. 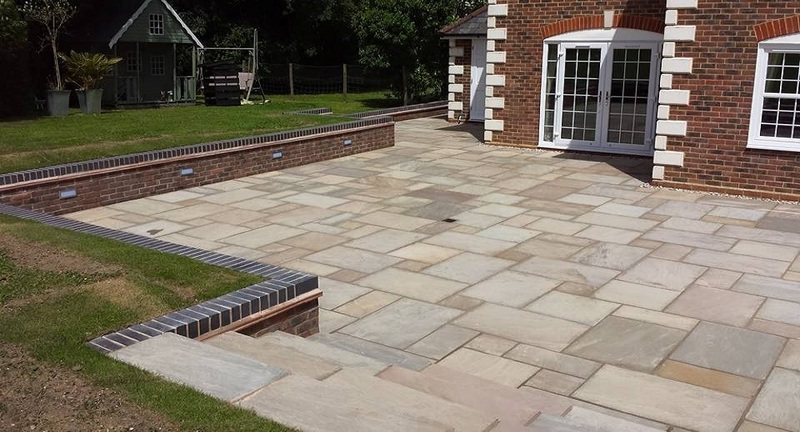 For those working to a budget, marble effect porcelain is definitely worth considering. If the halfway trick doesn’t appeal to you, then don’t worry. There’s still another exciting way you can incorporate both styles into a single space. How about tiling the floor, but papering the wall? With this method, you may be able to opt for two slightly busier styles without overdoing it. Try adding in a plain wood trim to ensure both designs are separated and broken up, and to provide a little balance. While ‘busy’ is a style that’s becoming more fashionable, there is such a thing as too busy! That’s why many people prefer to combine a busy pattern with a more subtle, understated ‘base’. If you’re opting for a very bold, vibrant, and busy wallpaper, then try matching this with a black, white, or cream subway tile. This helps to balance the style, and ensures you won’t be detracting from your vivid wallpaper. Of course, you can also take this as an opportunity to really get creative. While two busy styles can sometimes seem a bit much, there is a way around this – varying your sizes. A large motif wallpaper, combined with small, intricate mosaic tiles, can look incredible. This method is especially popular in very large and very small spaces, as the style tends to alter dimension perception to bring proportion to the room. As well as the overall look and feel of this unusual and eye-catching mix ‘n’ match design, and the blending of low maintenance tile with bold and vibrant wallpaper motifs, there’s one further advantage of tile and wallpaper to take into consideration: cost. 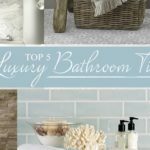 Porcelain and ceramic tile are widely available at a low price, while wallpaper costs can vary significantly, with thicker, highly patterned papers often being the most expensive. By combining tile and paper, you can cut down on the amount of wallpaper required for the job, enabling you to choose a more luxurious style while still sticking to a strict design budget. The tile and wallpaper combination can work almost anywhere in the home, but it’s often used in areas where there’s a need for hygienic, wipe-clean surfaces, coupled with a desire for a bit more character and personality than a plain ceramic or porcelain tile can provide. Cloak rooms, laundry rooms, and even dining rooms are good places to try out this mix ‘n’ match style, and don’t forget about the kitchen and bathroom, too. Just remember to choose a wallpaper that’s specially designed for high moisture areas.